I am constantly amazed by the wide array of beautiful wedding items available for purchase on Etsy. There are so many talented artisans out there, and as someone who got her start on Etsy, I marvel at the incredible marketplace it has become. Seriously, you can find almost anything there! And who doesn't like to support handmade?!? Many of us who sell handmade rely on cross-promotion to get our products out in front of potential customers, and we love to promote the work of others in our industry. I've decided to start doing just that with a new Etsy wedding inspiration board each week. With Halloween tomorrow and Thanksgiving right around the corner, fall is definitely in the air! 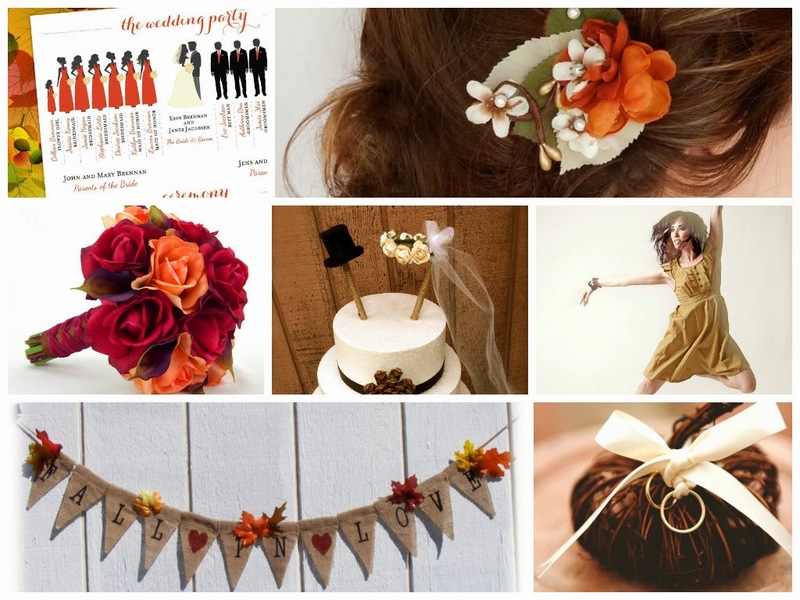 Autumn weddings seemed like the perfect theme for the week! Each item pictured below is available for purchase on Etsy; for more information or to order, click on the links below! Enjoy, and happy Wedding Wednesday!